3. Which layer in the TCP/IP model is used for formatting, compressing, and encrypting data? 6. 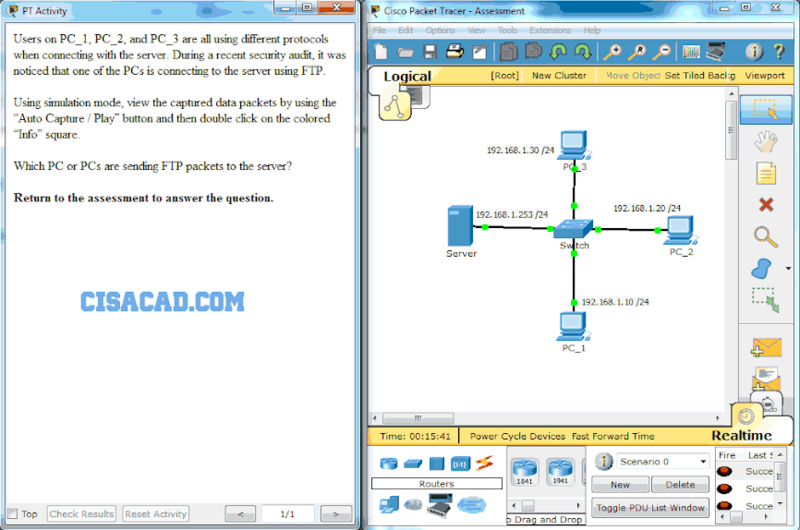 What is an example of network communication that uses the client-server model? 7. Two students are working on a network design project. One student is doing the drawing, while the other student is writing the proposal. The drawing is finished and the student wants to share the folder that contains the drawing so that the other student can access the file and copy it to a USB drive. Which networking model is being used? 8. What do the client/server and peer-to-peer network models have in common? 9. What is an advantage for small organizations of adopting IMAP instead of POP? 10. Which application layer protocol uses message types such as GET, PUT, and POST? 11. When retrieving email messages, which protocol allows for easy, centralized storage and backup of emails that would be desirable for a small- to medium-sized business? 13. 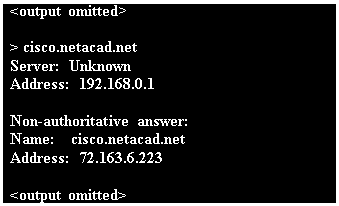 What part of the URL, http://www.cisco.com/index.html, represents the top-level DNS domain? 15. Which phrase describes an FTP daemon? 16. Which statement is true about FTP? 17. What is true about the Server Message Block protocol? 18. Which application layer protocol is used to provide file-sharing and print services to Microsoft applications? 24. Open the PT Activity.